Bun wants to be rich and famous. She loves to sing and knows she's meant for a career on stage. It should all be pretty easy -- her mom can just drive her to the concert hall to perform! But her mom reminds her that most good things, like the garden they are growing, take time and work. At first, Bun isn't terribly excited by the idea of singing lessons and practice, but as she does the math and daydreams about her future singing career, the more she starts to like the idea of earning her way to stardom -- a feeling just as good as being rich and famous! My kids and I both enjoyed reading Bun's tale. It was fun to see her dream, and dream in reality. From a parental aspect, I enjoyed the way that Bun's dream was handled. It wasn't discouraged, but was brought to reality on what it takes to achieve her dream. Bun's determination was sweet and my kid sand I had a fun time cheering for her throughout the book. 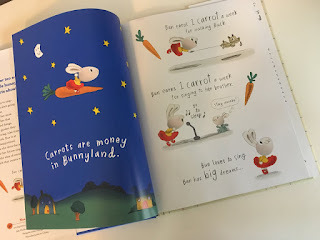 I also love the learning aspects with the "money" (carrots are used as money in the book) and addition/subtraction that goes with it. Bun earns money each week through chores, so it's a great teachable aspect regarding allowance. 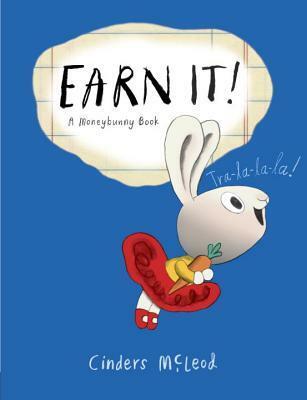 Though my kids are a little young yet to understand money, this book is a great resource to grow with. They can be introduced to it now and then when they understand, they can do the math along with Bun. Additionally, a fun project to do would be to have a child think of their dream and what costs it may take to get there. Title: One Leaf, Two Leaves, Count with Me! Count your way through the seasons! In spring, the tree's leaves appear, one by one. By summer, there's a glorious canopy. And when autumn winds blow, leaves fly from the tree, one after another, leading us into winter. There's a world of activity to spy in and around this beautiful tree as the wild creatures, and one little boy, celebrate the cycles of nature. 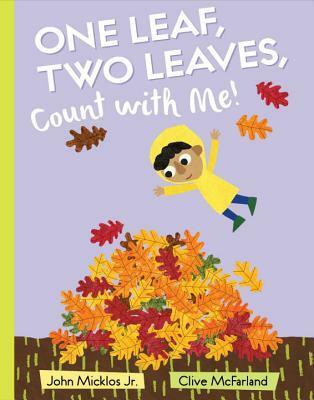 As little ones count leaves, look for animals, and enjoy the changing seasonal landscape, bouncy rhymes and bold illustrations make learning to count easy -- corresponding numerals reinforcing the learning fun. This book is so fun! The book is colorful and we have a soft spot for books with rhyming phrases. Although the cover shows fall, it was a pleasant surprise to find that the book actually goes through all the seasons. It has a great learning aspect about showing kids how the seasons change, and even how they cycle through. 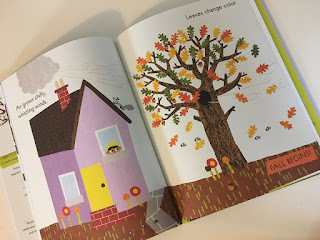 Not only does this book teach about seasons, but we also had fun counting the leaves and looking at the animals in the pictures as well. Both of my kids and I thoroughly enjoyed this one and right after we finished, they wanted to read it again. Philomena needs new glasses. Her sister Audrey wants them, too. And if Philomena and Audrey have them, shouldn't their sister Nora Jean also have them? In this utterly amusing tale of sisterhood, glasses, purses, and dresses, these girls soon make an important discovery. Not everyone needs the same things! If you're looking a fun, light-hearted book with some fun humor, this is the one to pick. This tells such a cute story with pictures of real-life hamsters wearing glasses with purses and wearing dresses. We had fun giggling at the hamsters in their outfits with their accessories. There's also quite a bit of humor with the story-telling as well. The two together had us laughing quite a bit. Not only is this book fun with the hamsters, but there are some teachable moments as well. 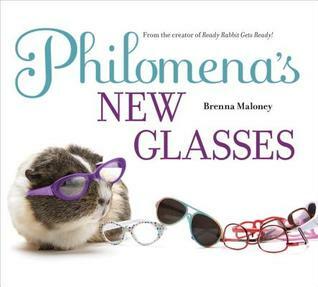 It talks about glasses and why Philomena needs glasses. It even shows a diagram of why Philomena needs glasses. This was a fun way to show my kiddos why some people (like their mom and dad) need to wear glasses/contacts. The sisters learn that they don't have to have everything that their sisters do and sometimes it's better to be unique. I loved the extra deleted scenes section in the back of the book which show some really fun blooper photos of the hamsters.